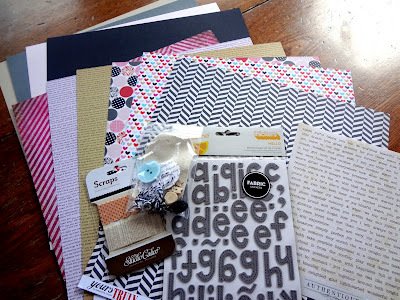 Let's Get Sketchy: Let The Games Begin! Are you ready for Spring? I know I am! Your challenge is to create a layout inspired the the colors in the photo below. You are only allowed to use the colors below, go ahead and be inspired! The first 3 people to complete this challenge will earn TWO tickets! Awesome colors to use, and great prize! Can't wait to see all the entries! I love the baby soft spring-time colors!! I'll play!! 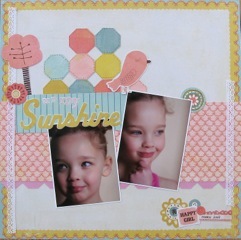 amazing spring colours and so much fun to use... can't wait to see all the projects. Fun colors...what a great challenge! Nuki, Yama and Kim you are the first three uploads and have received your 2 tickets towards the grand prize drawing! Lovely layout She She!! 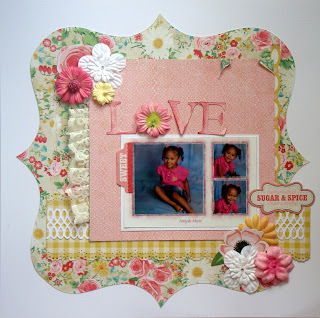 Love that floral background paper, one of my faves from Crate :) The entries are looking fab !! What great layouts! I hope to get mine uploaded soon!